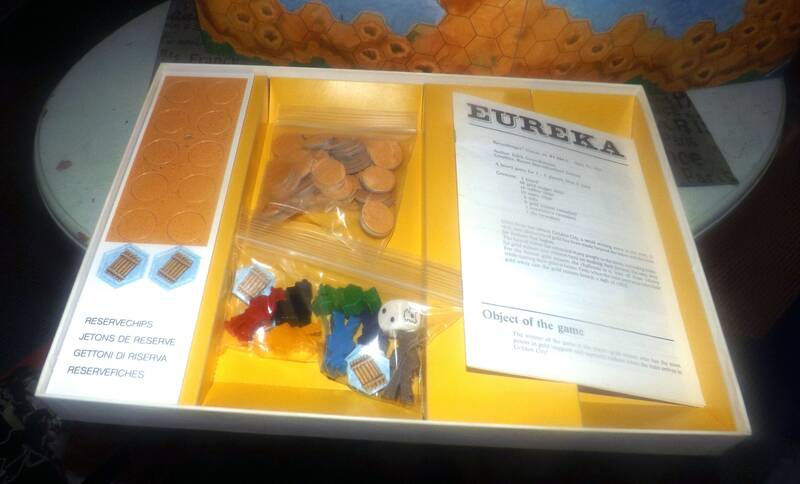 Vintage (1988) Eureka board game published by quality German gamehouse Ravensburger. 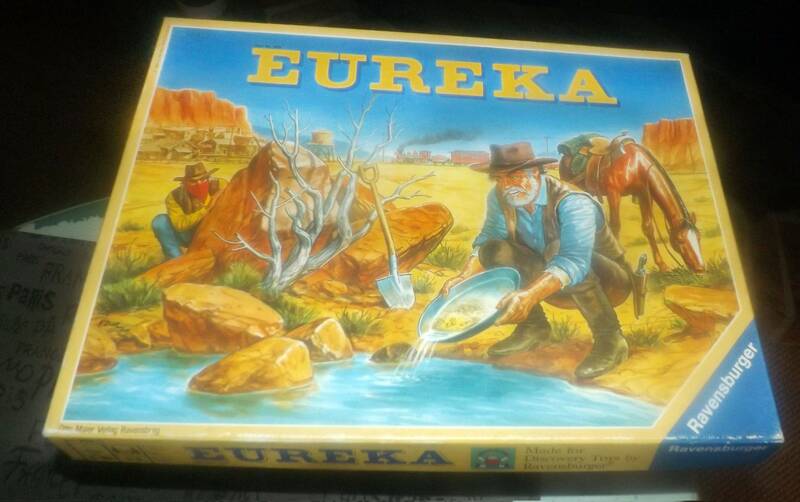 Gold prospecting game. Complete. 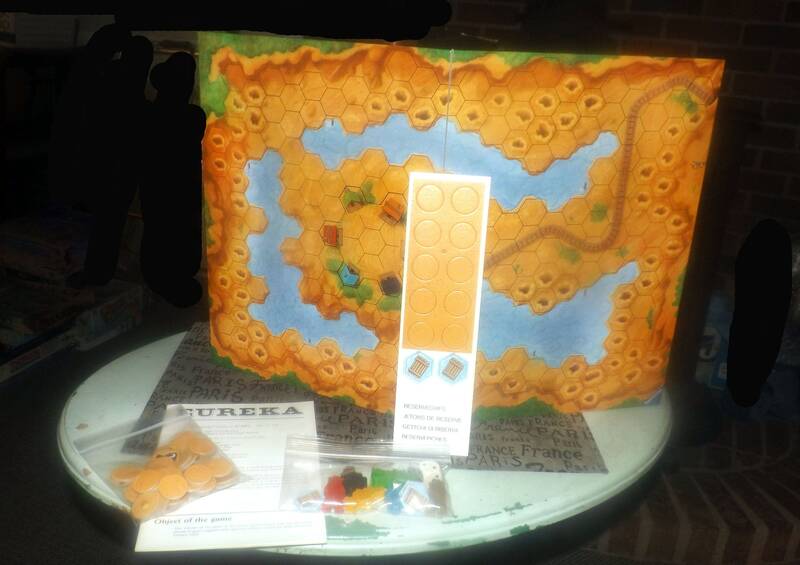 Vintage (1988) Eureka board game published by quality German gamehouse Ravensburger. Gold prospecting game. 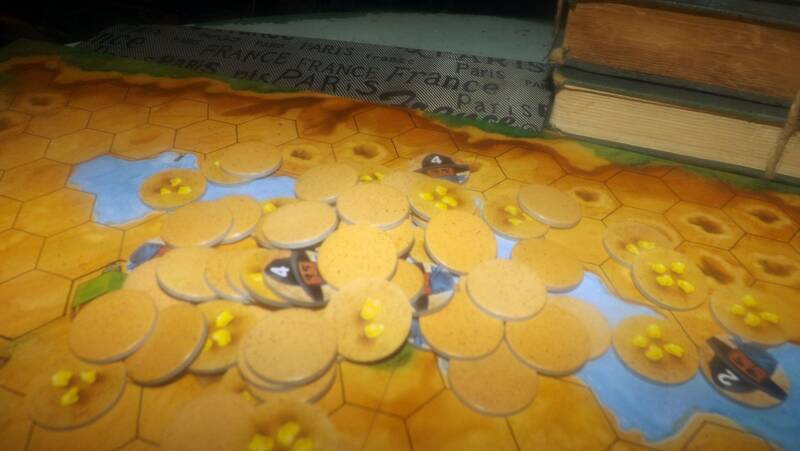 About the game: Players act as prospectors, moving about the game board in their quest to strike gold. But ... even after they find it, the gold that is, their struggles are not over. There are still many considerations: is it safe from bandits and other players? How can the gold be carried back to home base for collection by the gold train? How do I get the gold across the many rivers and mountains that are on the path to home? Tools exist to help prospectors. Rafts are available to help cross rivers for example. 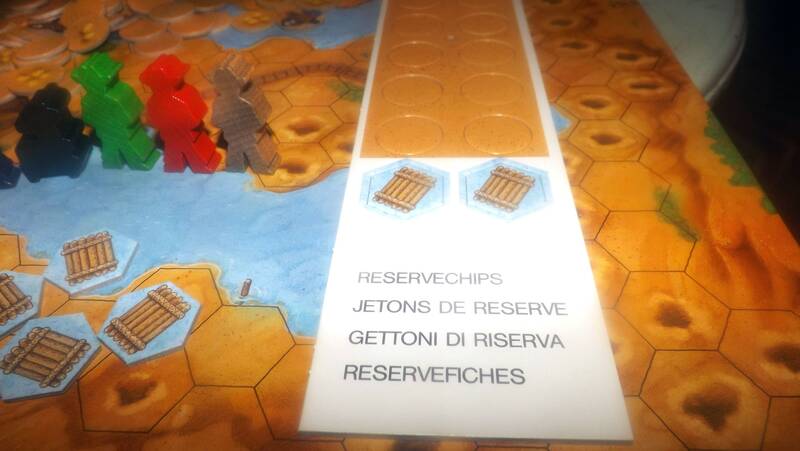 The game ends when the gold train arrives, or the contents of all the mines have been depleted. Condition of game: In EXCELLENT!, seemingly little-used condition. 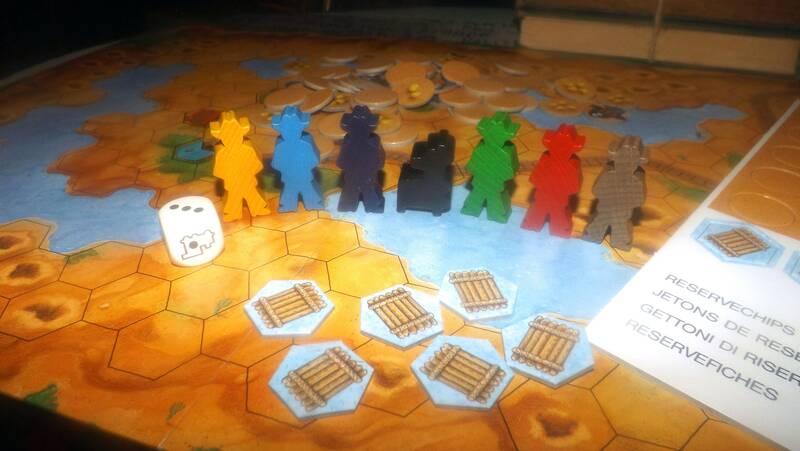 The wooden players pawns and die are in clean and unbroken condition. All of the nugget, robber and spare discs are in clean and unbroken condition. Game board lays flat, as it should, with NO! warping apparent. Game board graphics are bright and vivid with NO! fading apparent. There are NO! rips or tears to the fabric of the game board. Original instruction booklet, with rules supplied in English, French and Spanish, is here and is complete, clear and legible with NO! torn or creased pages. Original box insert is here and is, again, in clean and unbroken condition. Game box is also in EXCELLENT! condition with VERY LITTLE! shelf wear other than some LIGHT! rub to the corners and edges of the box and NO! split, torn or broken corners. Game box graphics are bright and vivid, box text is clear and legible. Fantastic and complete condition for the age of this game! 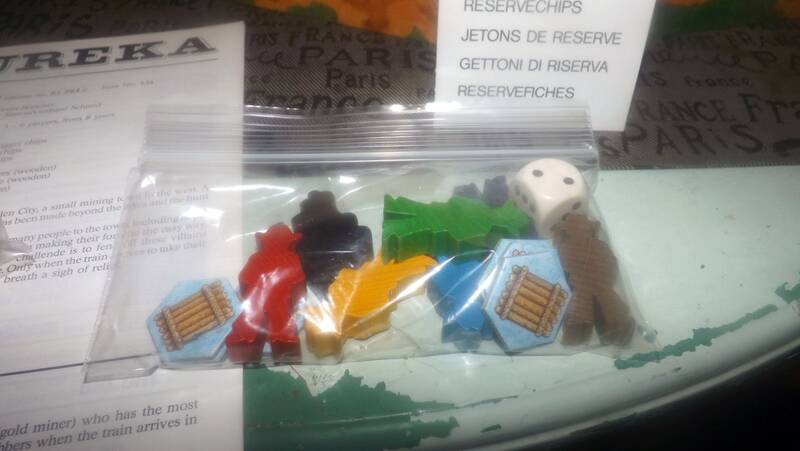 Please note the Vintage Board Game Policy (details available in the Shop Policies section) applies to the sale of this item.